Auchentoshan Classic- So my friend Charlie has this tradition whilst fly fishing….when you land a trout, you take a celebratory drink from the always present silver flask. 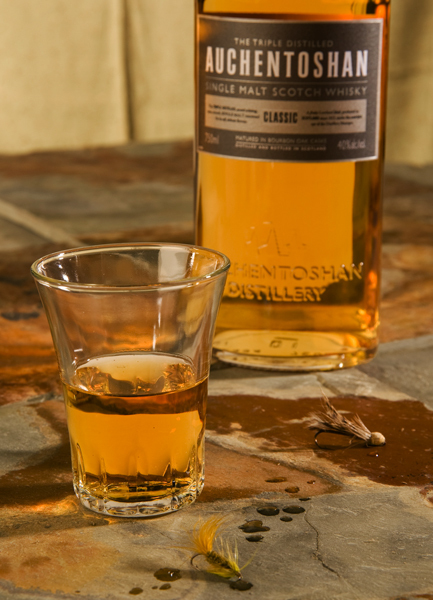 Our subject scotch might just be the perfect streamside companion. Now Charlie favors Canadian whisky, clearly a character flaw, but right-minded folks would do well to consider this alternative. 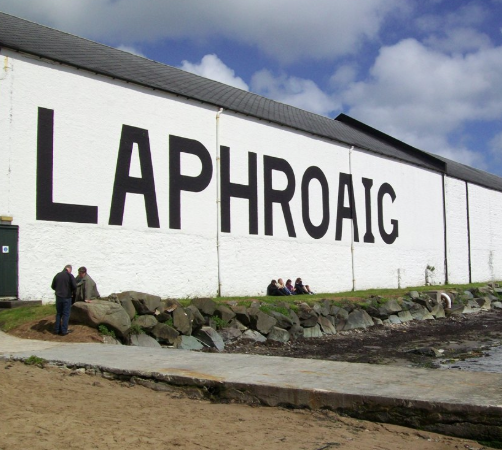 It’s lightly peated and malty with a distinctive oilyness ….which is a great combination. It’s an 80 proof bottle which should keep you from taking an unexpected downstream excursion. As a possible side benefit on a day when they are not biting…at least you are self contained. Scottishly inexpensive , but still the real (reel…) deal, I rate this one a 7, oh, and always catch and release.